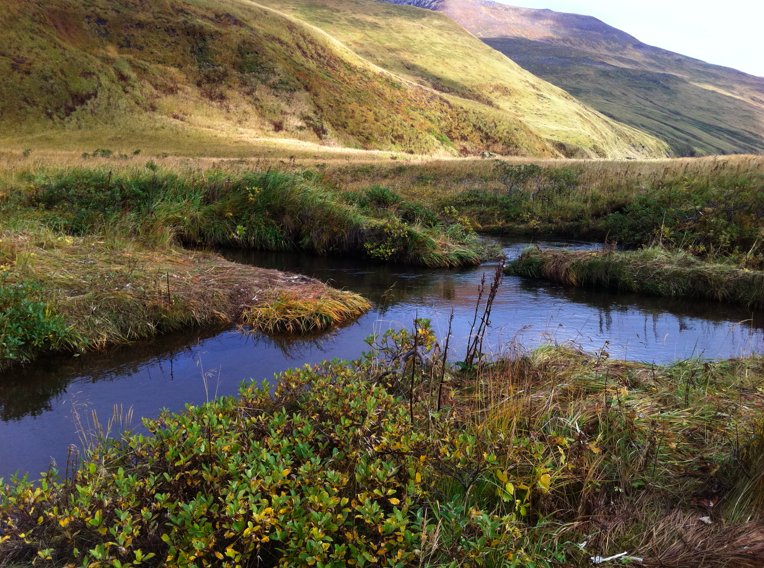 There is a lot of fresh water in Akutan. Most of it comes down from the snow capped 5,000 foot mountains that constantly overlook the village. It comes tumbling down in series of waterfalls that never stop. I was able to find one small stream that wouldn’t look out of place as a Montana spring creek. Not knowing what to expect, I was surprised to see fish carcasses scattered around the shore. I was too late for the Pink Salmon run, but maybe I will be surprised by a run of something else before I leave. The walk to the creek is about an hour from town. It has to be timed right due to the tides. It would not be a fun walk home after wading or swimming in the Bering Sea. The weather can also be a factor. Sometimes the wind is howling at over 50 mph throwing sleet at you sideways. Although on the good days the sun is shining and anything over 40 degrees is cause for a celebration. 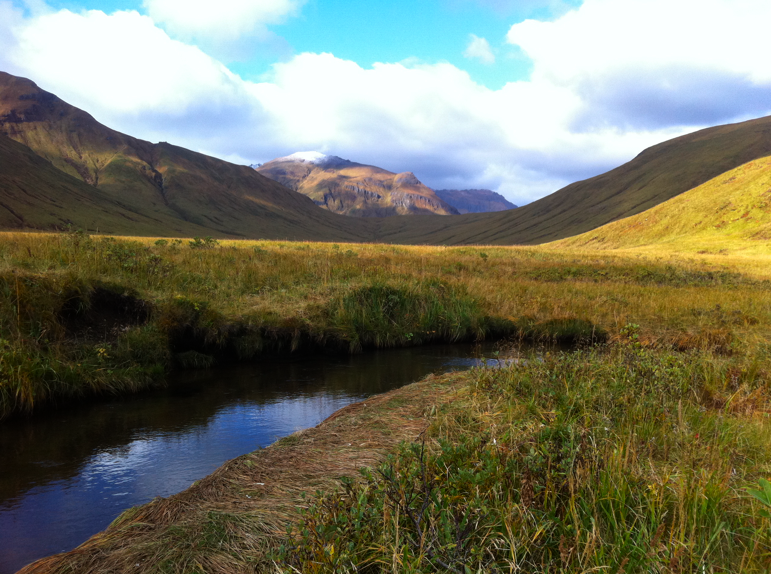 This entry was posted in Alaska, fish, fly fishing, happiness, travel and tagged akutan, Alaska, fly fishing, observer, waterfall by Rory. Bookmark the permalink. Thank god there is fishing. Are you sure you are coming back?